Stephen R. Covey, he is an American author, teacher, educator, family expert, organizational consultant, a renowned authority in Principle-Centered Leadership, and a businessman. 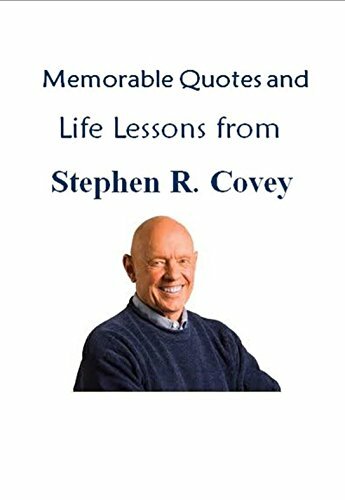 This is the Kindle version of Memorable Quotes and Life Lessons from STEPHEN R. COVEY (The 7 Habits of Highly Effective People) that you can also download and read on your computer and mobile phone. Kindle books are DRM protected and therefore, unlike ebooks that are in PDF or ePUB format, you cannot read this ebook without the official Kindle apps.